Did you know there's an abandoned swimming pool in the basement of the Woolworth Building? Did you know there's an abandoned Cold War-era missile silo buried under a log cabin in the Adirondacks? 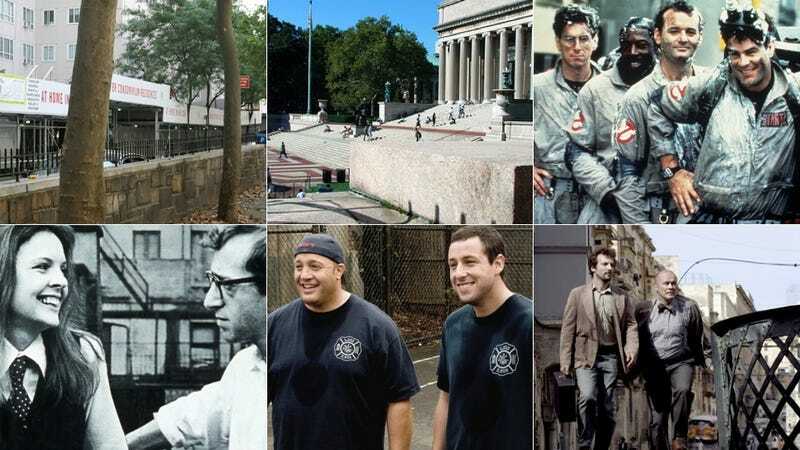 Do you have any idea what happened with the filming location of Ghostbusters or Annie Hall? Nope! But Nick Carr, the location sleuth behind Scouting NY does. Nick started Scouting NY in 2008 to document the places he discovered in his job as a location scout for movies and TV shows. He know the secrets of every old building of alleyway of New York City. His first scouting gig was on Steven Speilberg's Munich, and he's been scouting professionally ever since. Just how good is his eye? He's scouted for movies like Spiderman 3, Doubt, Enchanted, The Sorcerer's Apprentice, Taking of Pelham 1-2-3, and the upcoming Scorsese joint The Wolf of Wall Street. Sounds like just about the coolest job ever. Want to know what Nick's job is like? We'll have him here in the comments taking your questions starting at 10:30 EST. So fire away! The Q&A is now over. Thanks for joining us! Nick Carr is currently working on his first film, set not in NYC, but on New Hampshire's very mysterious Mount Madahodo. You can read more about it here. To donate money to help Nick make the movie, go here.